Blue velvet luxury cushion "Splash"
Home / Blue velvet luxury cushion "Splash"
Blue velvet luxury cushion with gold splash decor. Modern velvet cushion or throw pillow in grey. Shop our online store for more home decoration. We ship worldwide. Visit our home and gift store in Amsterdam. Luxury cushion made of blue cotton silk. Shop more home decoration and accessories in our online store. We ship to EU, US and Canada. Luxury cushion made of yellow cotton silk. Shop more home decoration and accessories in our online store. We ship to EU, US and Canada. Luxury cushion with black and gold geo pattern. Shop more home decoration and accessories in our online store. We ship to EU, US and Canada. Luxury cushion in bordeaux red velvet. Shop more home decoration and accessories in our online store. We ship to EU, US and Canada. 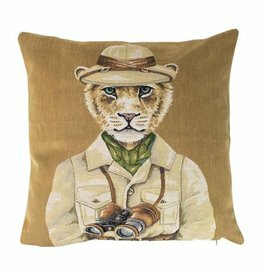 Luxury cushion with woven safari lion print. Shop more throw pillows and other modern design home decoration in our online store.